Home / SURPLUS, military and civilian. / Gasmask Kemira M/71, Finnish CD, w/ box, unissued. 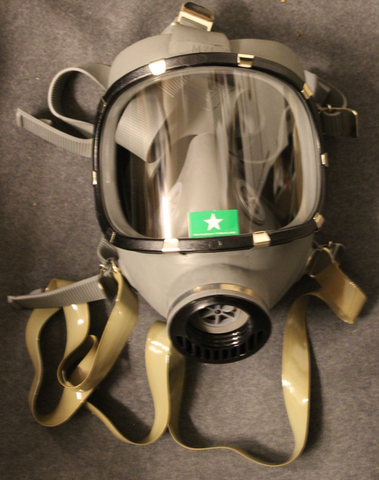 The masks are stored in closed containers, we opened the seal moments before we started to take pics, so it is quite fair to say these are unissued, the thread of filter is 40mm, which is still in use. The mask is packed in plastic "bag" that can be used as small trashcan, on storage box if not used to store the mask. If you do not wish to own the box, please notify us, we can ship the mask without it. Statens Civilförsvarsskola, swedish civil defence school.